The key to lasting beauty of your timber flooring investment is proper maintenance for the life of your floor. No matter what kind of floor you have, or what type of finish used, there are certain steps that must be taken to maintain the beauty of the timber floor. Avoid creating indentations in the floor. Common causes include stiletto heels and pet claws. Remember! Allowing the floor finish to wear too far may mean the floor has to be sanded back to bare timber and re-finished. It's better to renew the surface by over-coating before this point is reached to avoid unnecessary cost and inconvenience. 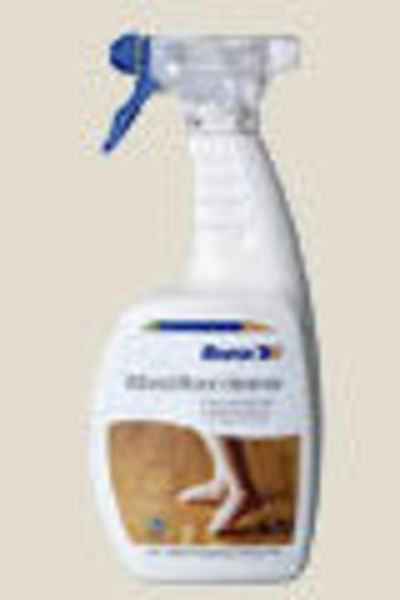 Bona Care Floor Cleaner is specially formulated for cleaning all types of wooden floors with a clear unwaxed finish, including all finished floors. 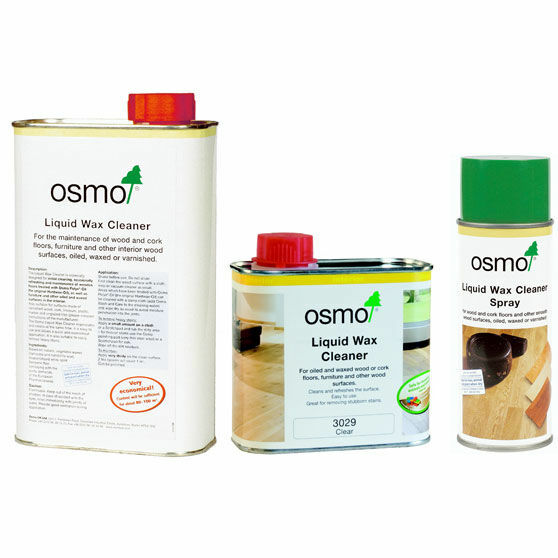 Packaging is 1 litre spray bottle or economical 4 litre refill, do not dilute. Bona Wood Refresher is a ready-to-use non-toxic waterborne maintenance coating for all unwaxed finished and pre-finished wooden floors in commercial and domestic areas. It revives a scratched and dull surface giving a new finished look and continued protection against wear. Refresher hides superficial scuffs and scratches and restore lustre. 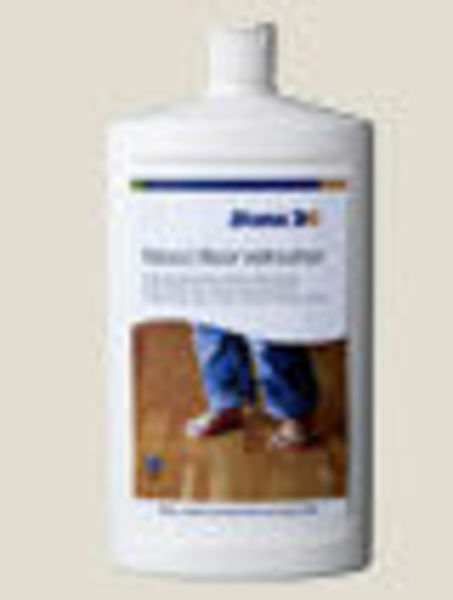 Bona Remover is a concentrated alkaline polish remover designed to remove Freshen Up from a floor prior to re-coating. Remover should be used if the floor needs to be stripped and new Freshen Up applied. Remover can also be used to remove stubborn black heel marks. Synteko Super Clean is a wax-free combined cleaning and care agent with a high cleaning effect and an adapted care effect. The product is suitable for hardwood and cork floors treated with Synteko finishes. It leaves the cleaned surface a thin, silk matte, lime-free, non-skid, antistatic care film, which is dissolved and renewed the next time the floor is washed. The film improves the wear resistance of the finish and keeps your floor beautiful. Synteko Newshine 1696 is a waterborne, practically odourless maintenance product which both renews the shine and protects finished wood floors, especially in high-traffic areas. It can be applied several times without a thick layer gradually building up. Synteko Remover is a basic detergent which efficiently removes dirt, soil and old coats of polish such as Synteko Newshine 1696. It is aimed for using before sanding and recoating with Synteko floor finishes or new treatment with Synteko maintenance products such as Synteko Newshine 1696. The FloorXcenter is an easy and manageble way to clean your floors. The mechanical movement of the machine works to lift and loosen dirt from the wood, and the microfiber pad effectively removes the dirt from your floors. There is also a dispenser attached which is an easy way to control the amount of water and Osmo Wash and Care that is released. This product is available for rent from Euro Style Floors. Please contact us on (02) 9369 4999 if you have any questions. Monocoat Refresh Spray is a ready to use product. It restores, refreshes and protects your surfaces that have been treated with Rubio Monocoat Oil. MonoCoat High Traffic Protection offers extra protection for areas of the floor that deal with heavy traffic.